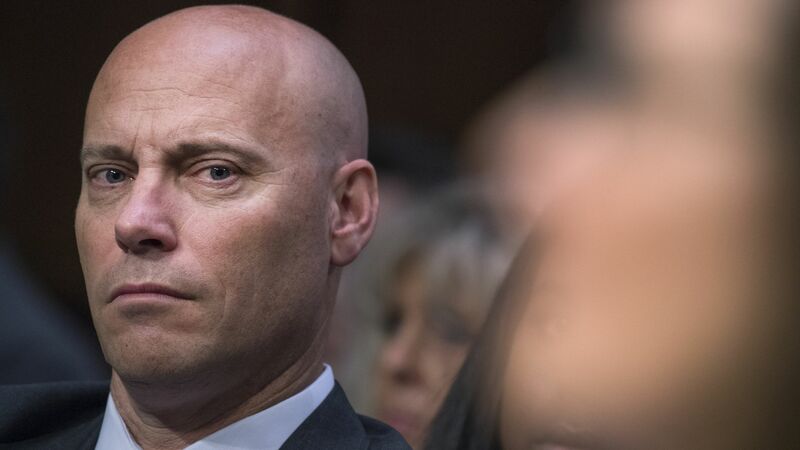 Investor and major donor Tom Saunders, former Virginia Attorney General Ken Cuccinelli and other prominent alumni of the University of Virginia have signed a letter in support of hiring former Trump aide Marc Short as a senior fellow at the Miller Center. The big picture: The letter, obtained by Axios, defends him against the backlash over his hiring. Short was a relatively non-controversial figure, but because of Trump's policies and persona — particularly his saying there were "fine people" among the white supremacists who rallied in UVA's hometown of Charlottesville — thousands of students and professors have signed a petition lambasting the school for hiring Short. Two professors have resigned over the decision. "They are attempting to shut this down based on assumptions about a guy they don't know, I'm guessing for the most part haven't met, and heavily just based on the characterization of the president and his administration," Chip Roy, a congressional candidate and former Senate staffer who championed the letter sent to the UVA president, president-elect and rector of the board of visitors, told Axios. Short has also just signed on as a political commentator for CNN as announced on air Monday. Saunders, an investment banker who served as managing director of Morgan Stanley and is chairman of the Heritage Foundation. He has donated $17 million over the past 25 years to the university. Cuccinelli, the former Virginia attorney general who was also the Republican gubernatorial nominee in 2013. T. Kenneth Cribb, Jr. is a former presidential adviser to President Ronald Reagan. Rich Lowry is the editor of the National Review magazine. William Antholis, the director of the Miller Center of presidential studies, has defended the decision to hire Short, although he clarified in his statement on Friday that Short has been offered a one-year fellowship and not a faculty position. Officials from the Bush and Obama administrations currently work for the center.